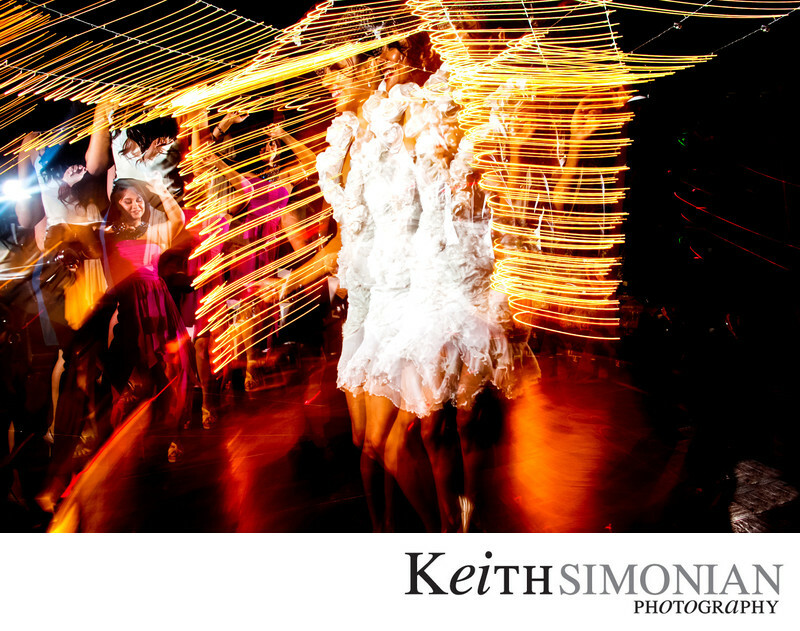 The motion in the photo is created by "dragging" the shutter to capture the streaking lights and several images of the bride dancing in the one exposure. This effect can be enhanced by the use of off camera flash triggered by remote. This wedding reception was held outdoors and the slower shutter speed helped even out the very low ambient light to match that from the off camera flashes. Location: Pema Osel Ling Retreat Center 2013 Eureka Canyon Rd Watsonville, CA 95076. 1/4; f/3.5; ISO 400; 24.0 mm.